The City of Laguna Niguel is continuing its' vibrancy ever more. One of the most enticing developments over the last thirty days has been the adoption of the Healthy Parks Ordinance. All smoking will be outlawed at all City-Owned Parks and facilities--and it is off to its' second reading. This will include E-Cigarettes as well. Parents, teachers, and students alike have reason to celebrate this coming week. The Capistrano Unified School District Class of 2014 has racked up more than $3,000,000 worth of scholarships! Students from the District's six comprehensive high schools are going to be matriculating at some of the most coveted colleges and universities in the world including, Yale, Stanford, Notre Dame, and UC Berkeley to name a few. With new scholarships being reported by students and faculty each day, a complete listing of colleges and scholarships will be posted to the District website on Graduation Day (June 24, 2014). " The City has also launched the revamp of the Parks with Crown Valley Park. There will be periodic construction delays as noted in this . It is part of a seven-year effort to transform the City infrastructure. There will be delays as Construction gets underway. As the final budget was approved in time for the beginning of the Fiscal Year, a key component of the budget was the Annual Police Service Contract that constitutes almost 30% of the City Budget (Almost 11 Million Dollars). The adoption of the $ 108 Billion Dollar State Budget also brings a sense of stability that has lacked in years past. It is also crucial to note how the Orange County Register has been at the forefront of helping the Community. Their School Laptop Program launched in 2013 was just one example of such commitment. Hopefully the Orange County Register will continue its' innovative programs in such ways despite its' recent cutbacks that have included buyouts and a potential sale of the iconic headquarters in Santa Ana. Further North in Mission Viejo, there is a "studio" in the Kaleidoscope. It features a little project launched by the City of Mission Viejo called "Bears Around Town" back in 2012. 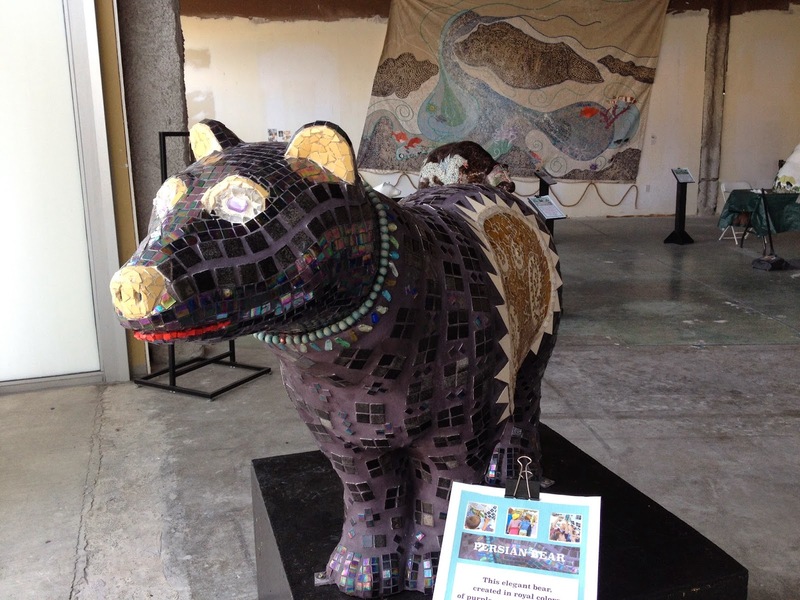 The studio features Bears that also honor the various vibrant communities that call Mission Viejo home. It is just one more example of the vibrancy of South County that is ever so as Summer begins.